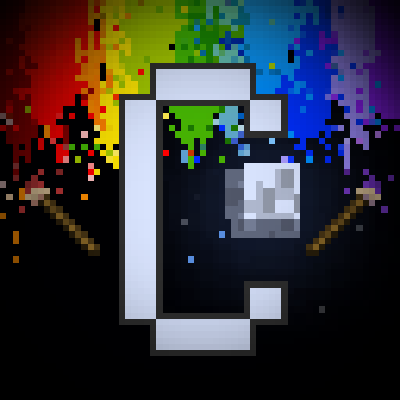 Chromatica is a casual free for all PvP minigame map. You have 5 lives and your objective is to be the last one standing, but there’s a… creative twist. The game zone is mostly void, with some buildings spread throughout it, and the main way to get around is by painting your way across the map, while collecting special items, taking out opponents, and avoiding getting knocked out. What do we mean by paint? In the game, when not holding an item, you place ‘paint’ blocks at 7 blocks in the direction you are looking!